Peter Hanselman has worked with many successful companies such as IBM, KPMG, ING, Getronics and Maxeda, he will be presenting with Narayanan Krishnakumar from EMC. You can them both in this live webcast to benefit from his broad international management experience across the Retail, Banking, Finance and IT services sector. 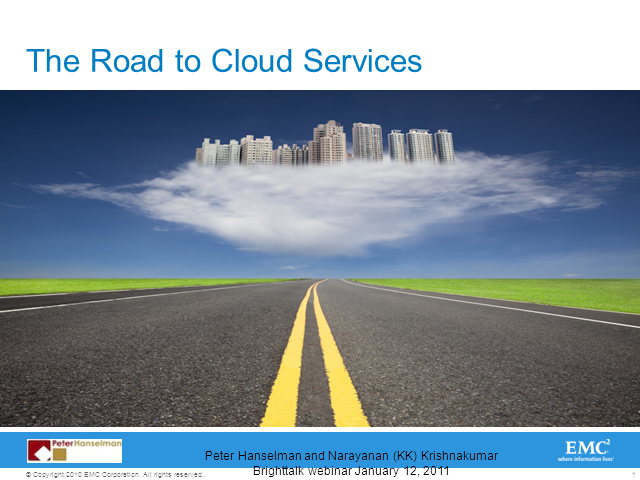 In this webcast Peter will discuss the promises of the cloud and virtualization, complex infrastructures, changing skills, roles and governance, dealing with privacy and legislations and changes in security concepts to help you make a better informed decision regarding cloud and virtualization.